Grossmont Union High School District paid a warehouse worker accused of routinely ogling female students and making sexual remarks $80,000 to leave, and agreed to keep misconduct reports secret from prospective employers. The worker said he participated in lewd talk among coworkers but not in front of students. A Grossmont Union High School District warehouse worker accused of routinely ogling female students and making sexual remarks with a coworker avoided termination and walked away with an $80,000 payout instead, public records show. Luciano Ortiz, 60, was investigated by the Grossmont district in 2016 after colleagues reported Ortiz said things like, “I’d like to get that one into bed” and other vulgar sexual remarks to a coworker while watching Grossmont High School students arrive for school. “Your sexual comments concerning female students pose a serious threat to the safety of minors, not to mention, it opens the District to significant legal liability,” district officials wrote Ortiz in April 2016. 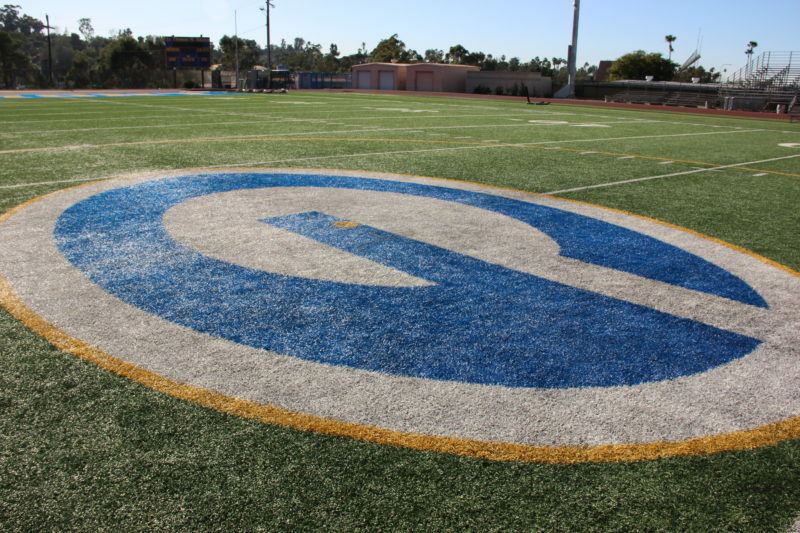 Grossmont officials planned to terminate Ortiz for immoral conduct and violating the district’s sexual harassment policies but agreed to pay him to leave instead. Ortiz didn’t deny making the comments, but told VOSD he never spoke to students like that. He claimed his colleagues who complained also made sexual remarks about students, and wrongfully made it sound like he was making “cat calls.” He believes their statements were coaxed by his boss who he said wanted him gone. Records obtained by Voice of San Diego show Ortiz filed a claim for damages in March 2016 against the district, a precursor to a lawsuit, alleging defamation and negligent supervision and retention of employees. Ortiz also sought a “right to sue” letter from the state Department of Fair Employment and Housing. He agreed to not sue the Grossmont district as part of the resignation deal, signed in September 2016. Per the deal, Grossmont agreed to keep the misconduct reports secret from future employers, and to tell those who inquire he voluntarily resigned. Out of the total $80,000 paid by Grossmont, $9,500 went to Ortiz’ attorney Dennis Grady, according to the settlement. District dismissal records claim Ortiz and another warehouse worker, John Black, took a break from loading trucks between 7:30 a.m. and 8:30 a.m. on a daily basis, and pulled up seats at the dock to watch “the show” of female students arrive at Grossmont High School, located adjacent to the district warehouse. Colleagues reported overhearing remarks about “jiggling” student breasts and lifting student skirts. Ortiz was also accused of referring to students’ buttocks as puppies on multiple occasions. At the beginning of the 2015-16 school year, a parent also expressed concern and referred to Ortiz as “creepy” after reportedly seeing him observe students during his smoke breaks, the district claimed. Ortiz and Black “created a threatening atmosphere for fellow warehouse staff members who have observed your inappropriate conduct toward female students,” by saying things like, “snitches get stitches,” the district added. In the end, Ortiz walked away with the settlement, and Black was reassigned to become a gardener on a roaming grounds crew, according to district officials. The district originally intended to suspend Black for five days, but settled on a one-day suspension and a job change, records show. Ortiz, who said he now works at Home Depot, isn’t sure why Black could remain employed while he had to leave. “If we were both being blamed for the same thing, why does he still have his job there and I couldn’t get another job there?” he said.